Jonathan Robin Meese was born on January 23, 1970 in Tokyo. He was the third child of Brigitte Renate Meese and Reginald Selby Meese. The family spent Meese’s first years in Japan. His parents separated in the middle of the 1970s. Thereupon his mother and the three children moved back to Hamburg in Germany. His father stayed in Tokyo until his death in 1988. In the early days Meese had numerous difficulties to adapt to his new surrounding. He spoke Japanese but not German. Through the language barrier he became in his schooldays a loner and outsider. In 1989 he completed his school education with a school leaving examination at the Stormarnschule in Ahrensburg. Founded by his initial difficulties, he was a late bloomer and Meese had always difficulties to adapt to his age group. With 22 Meese was interested in art for the first time. For his birthday he wished drawing utensils and began his first works. At first Meese’s mother matriculated her son for Economics, but he broke off his studies. Between 1995 and 1998 Meese applied at the Hochschule der bildenden Künste in Hamburg and was accepted.There he began his studies with the teacher Franz Erhard Walther, however he broke off again. The German artist Daniel Richter supported Meese and established contact between the gallery owners Nicole Hackert and Bruno Brunnert of the gallery of Contemporary Fine Arts Berlin (CFA). This is still one of Meese’s galleries. Meese’s works includes numerous drawings, collages, paintings, installations and actions. In his works he mainly operated with historical themes, myths and heroic tales. His personal interests such as comic books and horror movies also flow into his works. Also medieval themes are part of his works. He loves to provoke and deal with atypical art themes, which he staged in various ways. He often broached the issues of the Nazi-period. Above all, these works attracted attention, because they often showed Adolf Hitler exerting a Hitler salute. 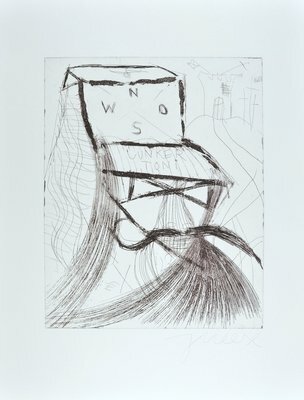 Meese’s works were controversial, provocative and polarized radically, his reputation became internationally important for Contemporary Art. He demanded a “Diktatur der Kunst” with radical and novel reactions. He collaborates with several well-known artists such as Jörg Immendorff, Albert Oehlen and Daniel Richter. 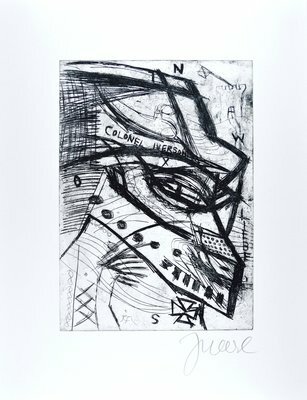 Many other artists were able to identify with Meese's revolutionary art. 1998 Meese was shown for the first time to an international audience. He participated with his installation Ahoi der Angst at Berlin Biennale. The work was a large-size photo-collage. Due to the numerous media the work could be commented and analysed internationally. 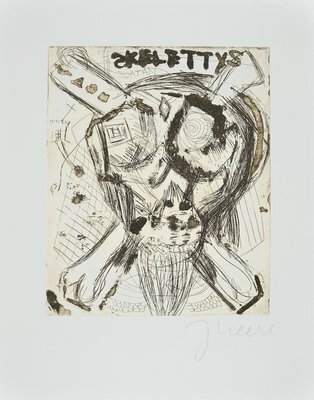 Meese was from this point one of the most radical and most eccentric contemporary German artists. Numerous installations and performances of the artist followed. Meese also devoted himself to the art of theatre. Both as an actor as well as director. In 1998 the producer Claus Boje and director Leander Haussmann Meese commissioned to shape the backdrop for the film Sonnenallee. In this he played himself as a crazy artist. Several jobs as a stage designer followed. Among other things, he designed in 2004 for the production of Pitigrilli novel Kokain by Frank Castorf. 2006 Meese staged a new version of Friedrich Nietzsche's Zarathustra. It was a collaboration with the actor Martin Wuttke. Both showed a sort of drama without a plan in the castle grounds of Neuhardenberg. With a lot of improvisation, they created a new staging. Every performance was different from the next. 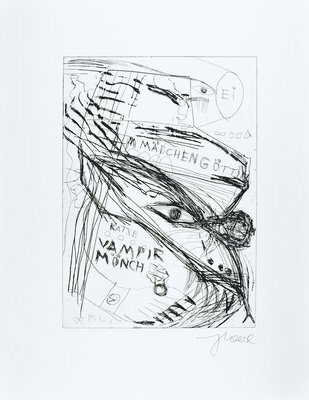 In the time between April 30 and September 03, 2006 Meese showed a survey of his art. It was called Mama Johnny and took place at Deichtorhallen in Hamburg. This survey included 150 works and was his first complete collection. Sculptures, photographs, drawings, and installations were among his wide-ranging work. The focus of the exhibition was on the Black Box (8 x 20 x 40 meters). In this again the staging of the novel Kokain was shown. In addition to the Black Box other major works of art have been shown like the five meter high Maldororturm. This work also included photo-collages, scripts and films. Topic of this was the state tyranny. Another work was the rotatable work Parsifalkopf. 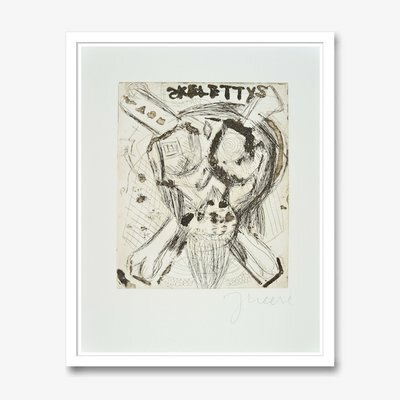 Meese devoted the whole survey of art to his mother Brigitte. In 2009, Meese showed an exhibition about the theme Atlantis. The title was Erzstaat Atlantis and has been shown in the Arp Museum Bahnhof Rolandseck. More than 170 sculptures and films were there. 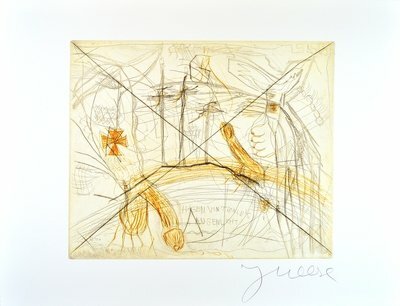 Meese’s representations of Atlantis were asked in the context of Joseph Beuys older representation. In 2016 Meese should restage the opera Parsifal at the 105th Bayreuth Festival. However he was fired for this task. Durch die Nacht mit Jessica Schwarz und Jonathan Meese, Hanna Leissner, Germany 2007. Jonathan Meese ‚Fräulein Atlantis’. Kunst als Performance. Ein Künstler zwischen Ablehnung und Bewunderung, Cornelia Nolte, Munich 2014. 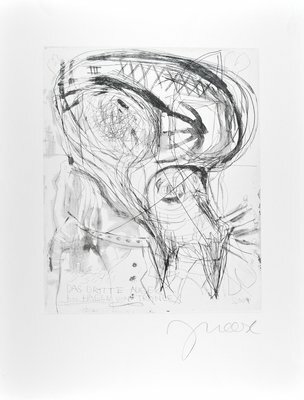 Malermeese – Meesemaler, exhibition catalogue, Museum der Moderne Salzburg, Cologne 2013. Jonathan Meese. Totalste Graphik, exhibition catalogue, Akademie der Bildenden Künste Wien, Cologne 2011. Jonathan Meese. Dash Snow, exhibition catalogue, Contemporary Fine Arts, Berlin 2009. Jonathan Meese. Totale Neutralität, exhibition catalogue, Kunstraum Innsbruck. Cologne 2007. 24h. Peter Hönnemann fotografiert Jonathan Meese, exhibition catalogue, Museum für Kunst und Gewerbe Hamburg, Heidelberg 2007.